Prepare: Wash all ingredients - crush leek, soak mushrooms in salt water, peel cucumber and slice in thin pieces. Break cassava noodle in bite-sized chunks, soak in clear water for 5 minutes and drain in 2 minutes. 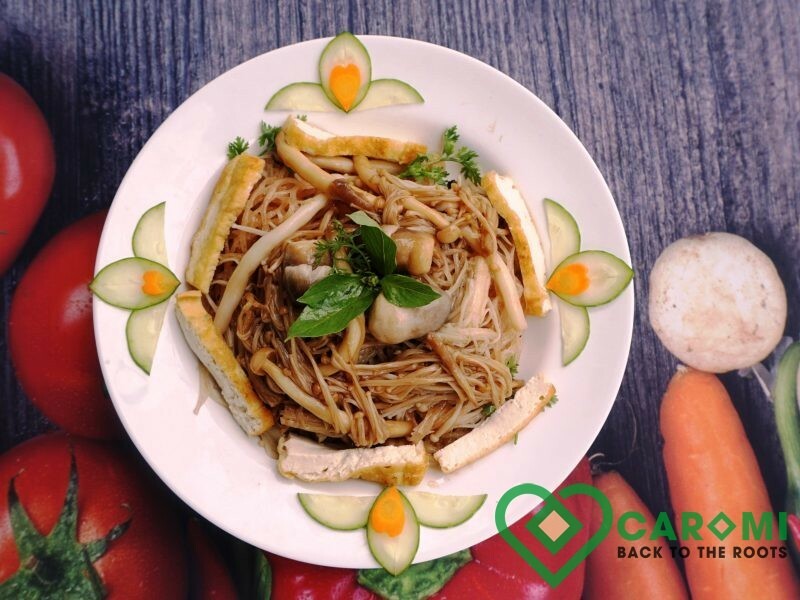 Mix mushroom, cassava noodle, sliced cucumber, vegetables, season if you like and enjoy.